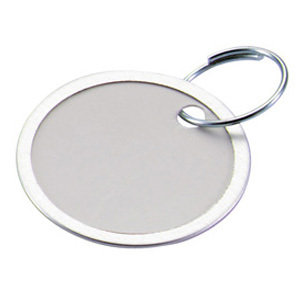 A sturdy white paper board key tag with a metal rim along the outside diameter. Simply write the key information on the tag for quick and easy key or part identification. String can be looped around key hole or onto a part. A simple and inexpensive way to sort and organize keys.